I collected newspapers for my friend across the street over the weekend. Her son, a mini mite hockey player, is totally into reading the sports section. When they returned yesterday he was anxious to get the papers from me so he could catch up on his teams. 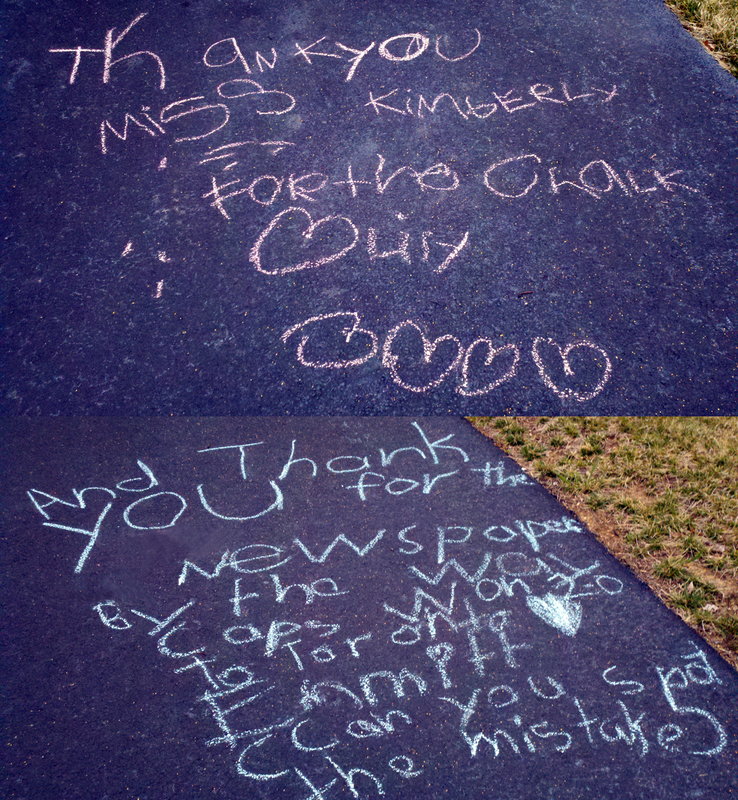 I gave him the newspapers and a box of sidewalk chalk for him and his little sister. As I pulled into the driveway this evening after work I discovered these two chalk messages waiting for me (cracked me up that the little boy included the CAPS score and asked if I could spot his spelling mistake). So funny and cute, it completely melted away the stress of my day!